Choose a Combination You Love for an Easy Finish! 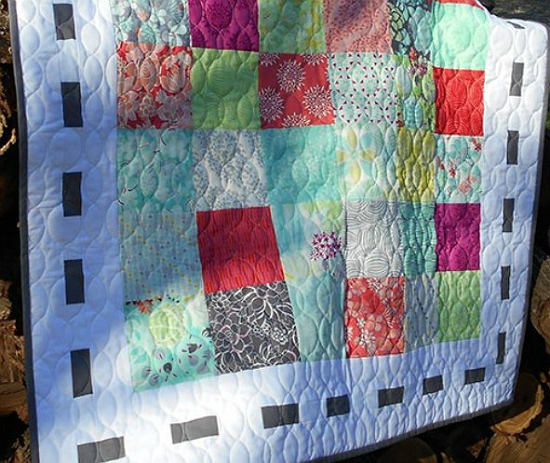 Charm squares from your favorite fabric line go together quickly for this charming quilt. Gray was used by the designer for the accent dashes in the border as well as for the binding. 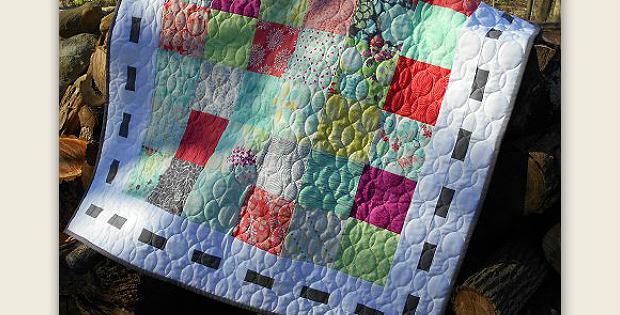 The result is a very charming baby quilt that could also be displayed on a table. This easy project is not only a quick one but it’s also suitable for beginners. Choose 36 charm squares from a fabric line you love or go through your stash and put together a nice combinations of 5″ squares left over from other projects. Choose a background and the border accent and you’re good to go. The finished quilt, designed by Cindy Kratzer of Gray Barn Designs, is 36 ¾” square. 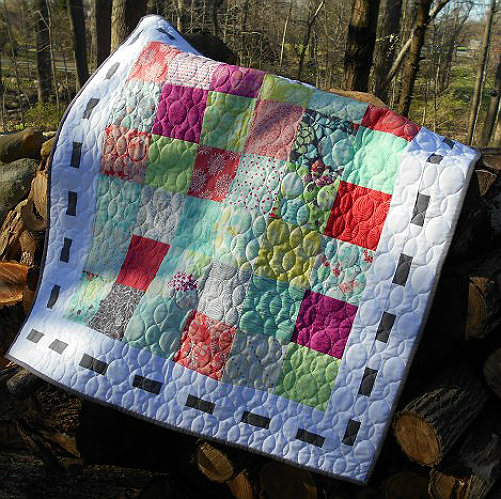 Click here for the free “36 Charm Street” quilt pattern.